Safety and efficiency in business practices go hand-in-hand. For veterinarians, this is all the more critical. Ever thought what might happen if your veterinary clinic is attacked by malware? Not only will it incur huge financial losses for your business, but also take away all the essential data which you need to keep your clinic up and going. When it comes to smaller veterinary clinics, they are even more susceptible to cyber attacks. Why? It is simply due to the lack of infrastructure and protocols for keeping the data safe. Having said that, let's explore different options and safety measures that veterinary clinics can adopt to avoid crisis in future. What is data security for veterinary clinics? In layman's language, data security basically implies protecting your essential business data from the destruction caused by different malware and viruses. It is a set of technologies and standards which come in to keep your database safe. You might have heard of several litigation cases which have occurred due to data breach. Haven’t you? This is the sole reason as to why you need data security at your veterinary premises. An organized system which is helpful in backing up all your essential data plays a very crucial role. You can be assured that all the significant information you have on board is in good hands. Haven’t you heard cases wherein people have been swindled because of mere data thefts? We are sure you must have. In order to avoid that happening to you, it is important for you to secure your data with the help of a good PMS. When you have large chunks of data to handle, it becomes imperative to store them all in one place. This is so that your information does not get lost in transit. 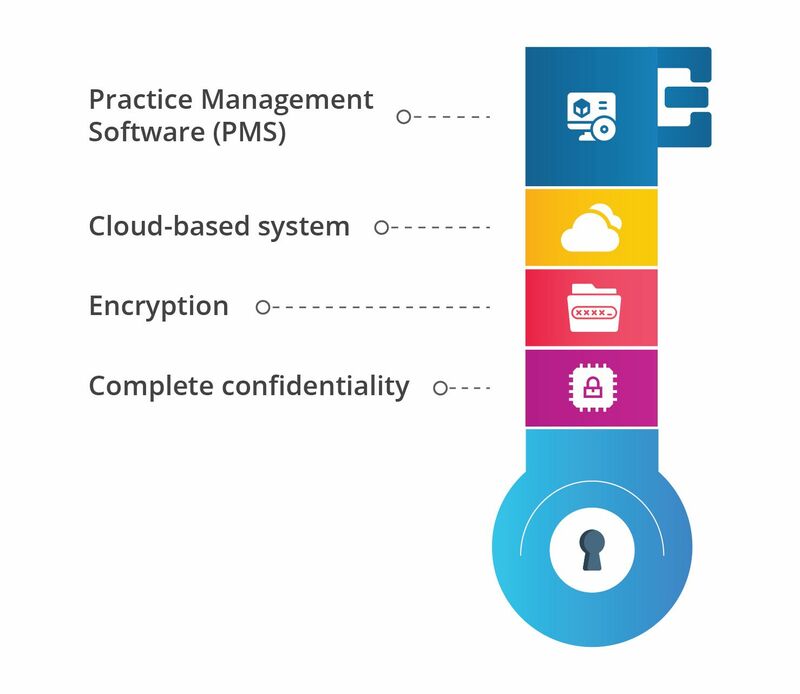 If you choose a good practice management software (PMS) for your veterinary clinic or hospital, they will give you the leverage of storing all your essential data on the cloud. Wondering if you can take a look at your records even on your smartphone? Well, a cloud-based system simply gives you that! Data security is something which does not reside in isolation. There are ten other things which you need to consider as well. Safety comes only when your data is protected. How can you possibly do this? With the help of passwords for each and every login your staff makes. When you have a centralized data system, that too on the cloud, you can be assured that there is nobody accessing your database without your permission. You will get complete authorization of your data as well as confidentiality in terms of the data being taken out from the system. Be it any business practice, it runs up to its optimum when confidentiality is ensured on each and every level. What can you do to make sure that your data is safe? While having a good practice management software is essential for your veterinary clinic or hospital to ensure data security, it is equally important for you to take some measures from your end as well. These include the following. #1 Always set your system on automatic updates. Regardless of the kind of operating system that you are using, be is Windows or Mac, make sure to always set it on automatic updates. If you continue working on an unsupported system, your chances of getting infected by a virus and malware are way greater. Studies have shown that Windows 7 has been most vulnerable to cyber attacks. If you want the utmost efficiency for your veterinary clinic, make sure to get an antivirus software installed. While purchasing it for your clinic or hospital do remember to check whether it is up to date or not. These days, many people opt for unpaid software solutions, but they are not that good when compared to paid ones. Your mail folder is something which is easily affected by a virus. Always be careful when you are opening something and do not click on the links which you think are doubtful. If you do not know the sender of the mail, it is highly recommended that you don’t open it. Instead of opening something doubtful like this, all that you need to do is simply delete the mail. What will happen if you lose your essential data in some accident? To avoid cases like these, it is essential for you to have a good backup system in place. Your files can have two copies and be stored in multiple locations if the need arises. You can be ensured that you have something to refer to in case a mishap like data loss takes place. In a nutshell, it can be said that data security is something that is of utmost relevance for veterinary clinics and hospitals. Know a way to make sure that your data is in safe hands? Choose VETPort. As a leading veterinary software service provider, they make sure that your data is not shared with external third-party applications. 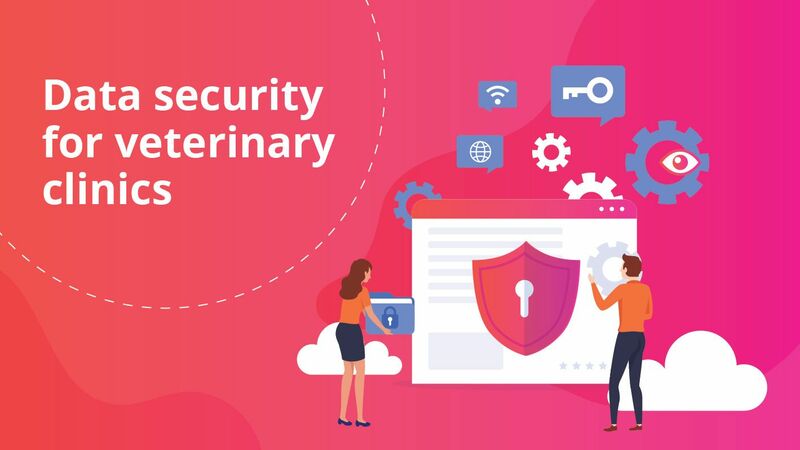 Not only this, VETport offers the most secure veterinary practice management platform that is loaded with features like SSL, End-to-End Encryption, Daily Backup, 99.9% Availability, Data Extraction features etc. Why don't you take a Free Trial and see it for yourself?